* The Avengers, the film at pole position for the summer blockbuster season. 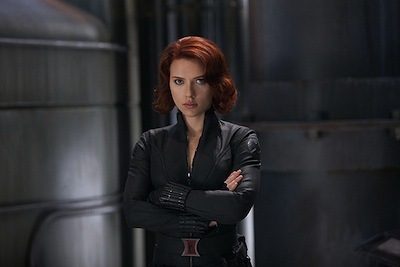 Joss Whedon delivers a big budget aventure with great characters and even better action. * Damsels in Distress, it's Whit Stillman to the rescue in the director's first movie in 14 years. * The Deep Blue Sea, beauty and heartbreak in a new film from Terence Davies. Starring Rachel Weisz. * The Five-Year Engagement, an uneven romantic comedy with genuine laughs and heavy sentiment. Starring Jason Segel and Emily Blunt. * Roadie, Michael Cuesta's middle-aged rock 'n' roll drama has sharp writing and sharper performances. * Something to Live For, featuring Ray Milland in an unofficial sequel to The Lost Weekend.